TensorFlow, the open source software library, developed by the Google brain team, is a framework for building deep learning neural networks. It is also considered as one of the best ways for building deep learning models by machine learning practitioners across the globe. TensorFlow is considered to be used quite significantly in for deep learning in computer resources and it relies on a lot of data. If you are someone who wishes to get into ML, then these best TensorFlow books would surely be a highway to get to your goal. It is hugely popular among practitioners across the globe, and hence they are on a constant lookout for more and more work related to this library. Here I have tried to enlist 10 such best TensorFlow books that would help you understand TensorFlow and make your concepts clear. 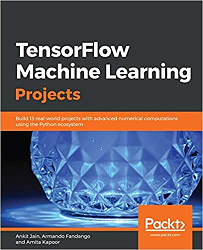 If you are looking out for a book which provides you access to sample codes, then this best TensorFlow book should be the perfect choice for you. It helps those who have a bare-bones understanding of TensorFlow and helps you to navigate from the online TensorFlow documentation available. 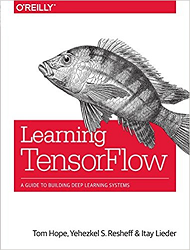 You can also refer this book again and again and go back to it gain a better understanding and appreciation of TensorFlow. 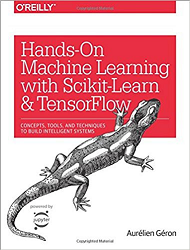 The authors of this book – Tom Hope, Yehezkel Resheff and Italy Lieder has provided a hands-on approach to TensorFlow for a broad technical audience. This best TensorFlow book is considered to be the bible in the deep learning industry. It is practically difficult to write a blog post regarding the fundamentals of deep leaning without mentioning Goodfellow, Bengio and Courville’s Deep Learning Text. This book is entirely theoretical and is written specifically for an academic audience. It teaches the fundamentals and theory surrounding deep learning in a college-level classroom. 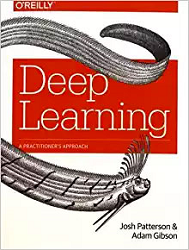 This book also covers modern deep learning algorithms and techniques. This book is also available for viewing for free from the book’s webpage itself. You could purchase a hardcopy as well. TensorFlow Machine Learning Projects help you to exploit the benefits of using TensorFlow in various real-world projects. 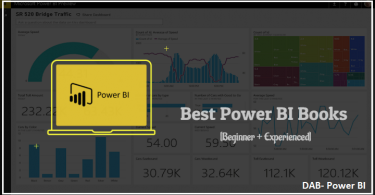 Benefits ranging from simplicity, efficiency, and flexibility. Using this book, you not only learn how to use build advanced projects using different datasets but also be able to tackle common challenges using a range of libraries from the TensorFlow ecosystem. 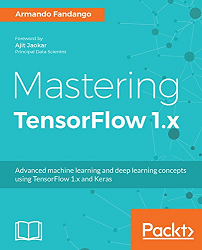 Mastering TensorFlow is one of the best TensorFlow books is a comprehensive guide that lets you explore the advanced features of TensorFlow 1.x. It helps you to gain insight into TensorFlow Core, Keras, TF Estimators, TFLEarn, TF Slim, Pretty Tensor and Sonnet. You will also be able to learn the advanced features of TensorFlow 1.x such as deploy production models with TensorFlow serving, build and design TensorFlow models for mobile and embedded devices. Once you are done reading this book, you will be enabled with the skills to build smarter, faster and efficient machine learning and deep learning systems. This book is also a good read and you could easily breeze through it. The title should not deter you from reading right through the book. This book has been organized into two parts. The first part covers basic machine learning algorithms such as Support Vector Machines, Decisions, Trees, Random Forests, ensemble methods, and basic unsupervised algorithms. The second part then covers deep learning concepts such as the TensorFlow library. 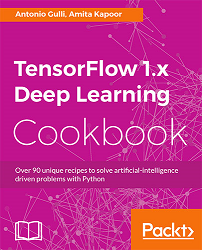 If you prefer learning about TensorFlow but in a cookbook style method, then this best TensorFlow book would be the perfect choice for you. This book is a great reference for TensorFlow users and is entirely hands-on. It is not necessarily meant to teach deep learning concepts. However, it will show you how to operate the TensorFlow library in the context of deep learning. 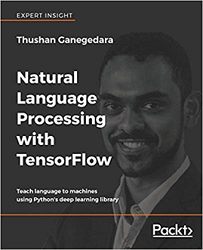 Through this book, Thushan Ganegedara aims at giving you a basic idea on TensorFlow and NLP basics. Eventually, you will learn how to use Word2Vec, including several advanced extensions, to create word embeddings that turn sequences of words into vectors, which is accessible to deep learning algorithms. You will also learn how to apply high-performance RNN models, like short-term memory cells to NLK tasks. These were some of the best TensorFlow books which you can buy to get started. If you’re new to the machine learning, these best TensorFlow books will be highly helpful to you. All of these books start from the basic and goes to the practical implementation. If you have followed any of these books, please share your experience with us. You may also check best laptops for machine learning. Follow these TensorFlow books which will help you get started. These are the good to go books on TensorFlow and Deep Learning which will help you start from scratch and reach the expertise level. This article has been written by the DAB Editorial Team. if you are also looking to write for us, feel free to email us at RiseMentMail@Gmail.com.